Meghalaya Health and Family Welfare Minister A L Hek has sought the intervention of Union Health Minister J P Nadda into the ongoing agitation by resident doctors of North Eastern Indira Gandhi Regional Institute of Health and Medical Sciences (NEIGRIHMS). Notably, the resident doctors of NEIGRIHMS Cardiology Department are on strike for the last one week in protest against the alleged ‘arbitrary use of administrative powers’ by Director D M Thappa to accept their examination fees for the doctorate of medicine (cardiology) course and for onward submission to the North-Eastern Hill University (NEHU). “Resident doctors of NEIGRIHMS have been on strike for the last one week and this has affected the smooth functioning of the hospital and the patients,” Hek had written in his letter to Nadda. “The grievance of the doctors, as I could understand, is the alleged harassment in the university examination of students and victimization of doctors by the Director, NEIGRIHMS,” he added in the letter. Hek has also mentioned that the NEIGRIHMS director has been away from the institute for the last 10 days ‘despite being aware of the situation’. 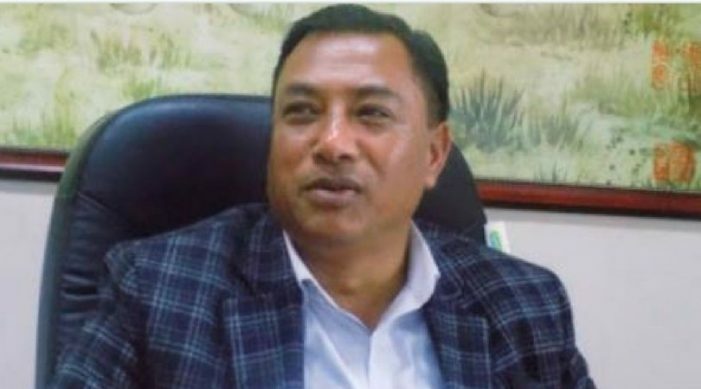 Hek said that patients who were coming from far flung areas of hilly terrain of the region are stranded in Meghalaya and are approaching him for help. “There have been reports in the media that the resident doctors agitation may intensify if their grievances are not addressed by the administration of NEIGRIHMS,” said Hek. In this context, Hek has urged Nadda to personally intervene into the matter and solve this issue at the earliest in the larger interest of the institute and the patients. Notably, the Northeast Health Ministers had recently raised the issue of de-recognition of the post graduate course at NEIGRIHMS with Nadda and sought his personal intervention.